Make your property welcome customers with confidence courtesy of our Baton Rouge parking lot cleaning solution! 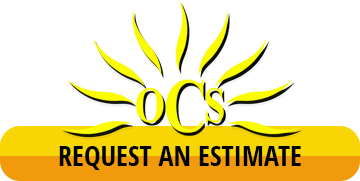 Outdoor Cleaning Service delivers the pressure washing expertise your exterior needs to get the best from your hardscapes. Your parking lot is caught between two worlds. On one hand, it’s a vital part of your property’s curb appeal and the customer experience. This is where your clients enter and exit your business - and you want the interaction to make a positive impression. On the other hand, your parking lot is constantly worn down by vehicle traffic. And that wear can make itself visible. Stain removal: Grease, oil, and other vehicle leaks can take a visible toll. We extract discoloration to leave your parking lot looking professional and well maintained. Debris removal: Chewing gum, dirt, mysterious buildup – we’ve seen it all. Our pressure washing solution delivers the process your property needs for authentic cleaning power. Quality control: With routine parking lot cleaning service, your hardscapes don’t just look better. They last longer. Hot water pressure washing: This technology ensures that even the most stubborn buildup disappears from your hardscapes. Environmental compliance: All our pressure washing equipment, cleaners, and water reclamation systems ensure that your Baton Rouge parking lot cleaning solution is safe for the planet and your property’s code compliance. Convenient: We partner with commercial properties all around the region to deliver quality routine service. When you choose our team, you know you’re getting the best. Your Baton Rouge property deserves superior care – and a superior parking lot to match. Get the perfect balancing act in Outdoor Cleaning Service. We’re here to serve you!